The Gloucester County DUI attorneys at Puff & Cockerill represent New Jersey DWI and DUI offenses occuring in and around Gloucester County. New Jersey’s penalties for Driving While Intoxicated (“DWI”) and Driving Under the Influence (“DUI”) are among the toughest in the country. If you are charged and found guilty of drunk driving, you will face hefty penalties, potential imprisonment and loss of driving privileges. Anyone arrested on DWI or DUI charges, whether an in-state or out-of-state driver, should consult with experienced counsel to defend and respond to the serious charges. It is common for drivers charged with a DWI or DUI to believe the easiest way out is to accept the fines, penalties and suspension of their drivers’ license; however, before you make any decision, it is wise to consult a DWI and DUI defense attorney. At Puff & Cockerill, our experienced attorneys will build strong defenses to DWI and DUI charges to ensure that your rights and interests are fully and adequately protected. In New Jersey, you are considered legally intoxicated if your blood alcohol level (“BAC”) is 0.08% or greater. For minor drivers under the age of 21, you are considered legally intoxicated if your BAC is 0.01% or greater. In addition to the Alcotest (formerly known as a Breathalyzer Test), police may also use Standardized Field Sobriety Tests (SFST) to determine your intoxication. These field sobriety tests are administered at the time of the traffic stop by the police officer and your test results are based on the opinion of the administering officer. In New Jersey, if you are arrested for a DWI or DUI, you must supply a breath sample. New Jersey has a consent test, known as “implied consent.” Implied consent is created when you are issued a state drivers’ license in New Jersey. If you refuse to supply a breath sample, you will be detained and brought to a local hospital where the staff may draw your blood. A refusal may result in the same loss of driving privileges and penalties as a DWI or DUI offense. A conviction for DWI or DUI will result in a mandatory drivers’ license suspension. The duration of the drivers’ license suspension in addition to corresponding charges and fees will depend on the circumstances of the arrest, including but not limited to the person’s driving history and their blood alcohol content (“BAC”) reading. It is important to understand that a DWI or DUI conviction in New Jersey is not considered a criminal offense under state law. In lieu of a criminal offense, a DWI or DUI is classified as a motor vehicle violation. Regardless of the classification, a DWI or DUI arrest is a serious charge. Penalties for DWI or DUI convictions in New Jersey vary depending on several factors, including but not limited to the person’s BAC, number of previous DWI or DUI offenses, and driving history. New Jersey follows a 10-year “lookback” period, also known as a “washout” period, for determining whether a DWI or DUI conviction is a first, second, or third offense. A DWI or DUI conviction will remain on your record for a period of ten years. In other words, if your first conviction occurred more than ten years ago and you were convicted of a subsequent DWI or DUI, you would only be sentenced as a first offender. On the other hand, if your first conviction was less than ten years from the date of the charge, you would be sentenced as a second offender, thus subject to the increased penalties and charges. In New Jersey, failure to pay DWI or DUI surcharges will result in two consequences. First, there will be an indefinite suspension of your driving privileges. Secondly, the Motor Vehicle Commission (“MVC”) will file an action in State Superior Court. The consequences of this lawsuit may include the State securing a lien against your property, garnishing your wages, or other similar remedies. 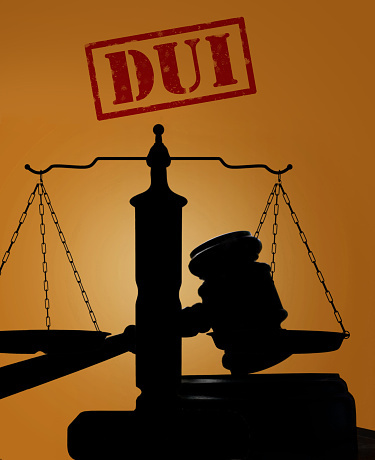 DWI and DUI charges are serious and have long-term ramifications for an individual, his/her work and his/her family. A conviction for a DWI or DUI while in New Jersey will result in the suspension of one’s drivers’ license. Unlike some other states, New Jersey does not issue “work permits” or “hardship licenses” in DWI or DUI conviction cases. With potential penalties ranging from loss of a drivers’ license from a few months to ten-years and fines in the thousands of dollars, every driver charged with a DWI or DUI should consult an experienced DWI and DUI defense attorney to respond to the charges. To schedule a consultation with a DWI and DUI Defense Attorney, please call the Law Firm of Puff & Cockerill at (856) 845 – 0011 or email our office.